A strong eye for fashion and a refined hand for creation characterize Sam Edelman shoes. 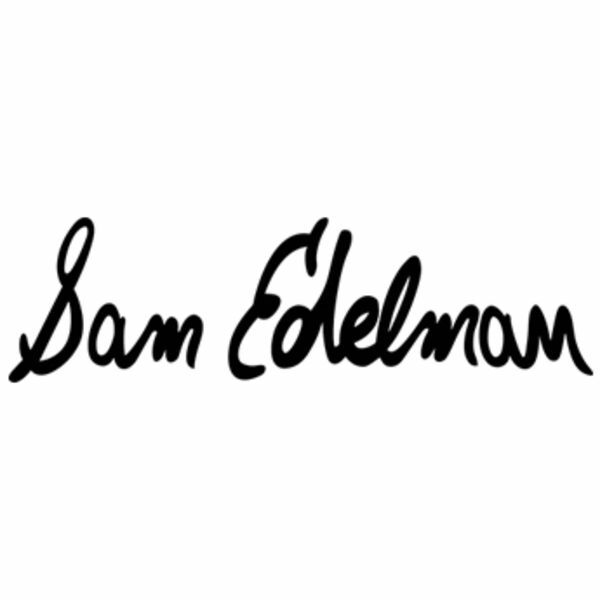 Bringing more than 30 years of experience developing some of the most successful shoe collections in fashion history, founder Sam Edelman has honed his craft to deliver women’s shoes that reflect his creative sensibility, one marked by use of sensual textures, playful embellishment and confident style. An astute businessman, Sam identified a void in the marketplace. Everywhere he traveled, he remarked on how passionately women felt about beautiful, fashionable and well-crafted shoes. He was able to combine his style savvy and expertise in shoemaking to create collections that were eminently fashionable and beautifully constructed at an attainable price point. The Sam Edelman brand was launched in 2004 with a complete collection, and quickly emerged as a breakout success in the women’s shoe arena. In a bold stroke of whimsy, Sam imprinted his oversize hand-drawn signature on the insole of his shoes, and the expressive signature has become an iconic hallmark of the brand. Capturing the imaginations of stylish young women, each season the collection boasts sell-out hits such as: the Celine (Sp’07), a punch-out, laser-cut ballet, the Ginger (Sp’08), a studded gladiator sandal; and the Jackson (Fall’09), an over-the-knee suede boot. Celebrity fans include Jennifer Lopez, Julia Roberts, Miley Cyrus, Rachel Bilson, Halle Berry and Katy Perry.